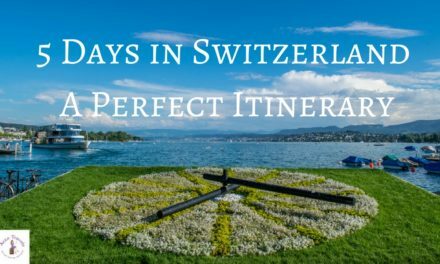 Switzerland is so pretty that some other areas might look more attractive than Bern – however, Bern is a beauty and you´ll find out about best places to visit and the best things to do in Bern in this post. Capitals tend to have the reputation of being crowded, busy, and hectic. Switzerland´s capital is different. 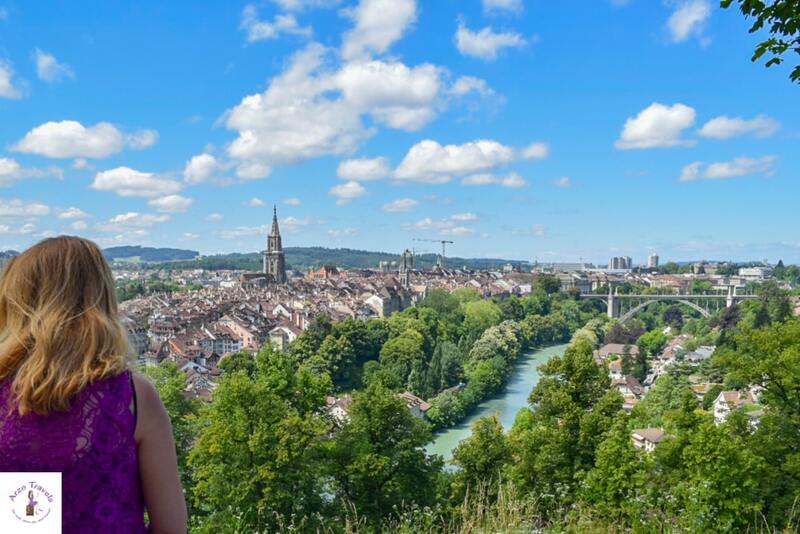 So, if you plan your trip to Bern (spoiler, I think Bern should be on your Switzerland and Europe itinerary) take your time and accept that everything takes a bit longer – however, I think, it is worth it as Bern is a pretty great place to visit in Switzerland. If you are asking yourself questions like “What to do in Bern” “Where to stay in Bern” “Best things to do in Bern” or “How to spend 1 day in Bern” this post is perfect for you as it will answer all your questions and even more – you´ll also find some important travel information for Bern Switzerland. Find the most important travel information for Bern. I stayed at the 3* hotel Goldener Schlüssel for 1 night which is located in the city center/old town. The old town is also my tip to stay in Bern. Though my hotel room was pretty small though, no direct (and free) parking options and the breakfast was simple, the location was perfect and made up for it. It was also pet-friendly (I had my dog with me). Read reviews for Goldener Schlüssel here. Bern, as basically all of Switzerland, has a pretty great public transportation system and getting around by bus and tram would be the best option. You can get anywhere easily. If you book a hotel you will get a card that allows you to use public transportation for free. If you get around by car you should know that parking in the old town is difficult and pricey. I visited Bern with my Puppygak. 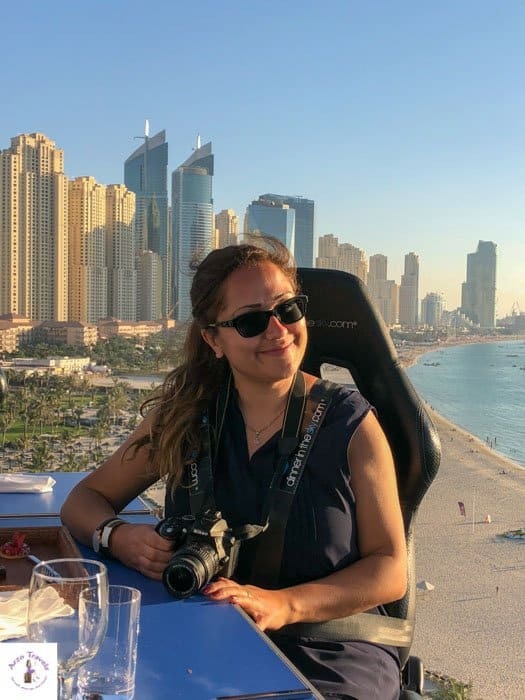 I had a great time, and though, I did a 1-hour guided tour, I did most activities as a solo female traveler (with a small dog, nobody is scared of). 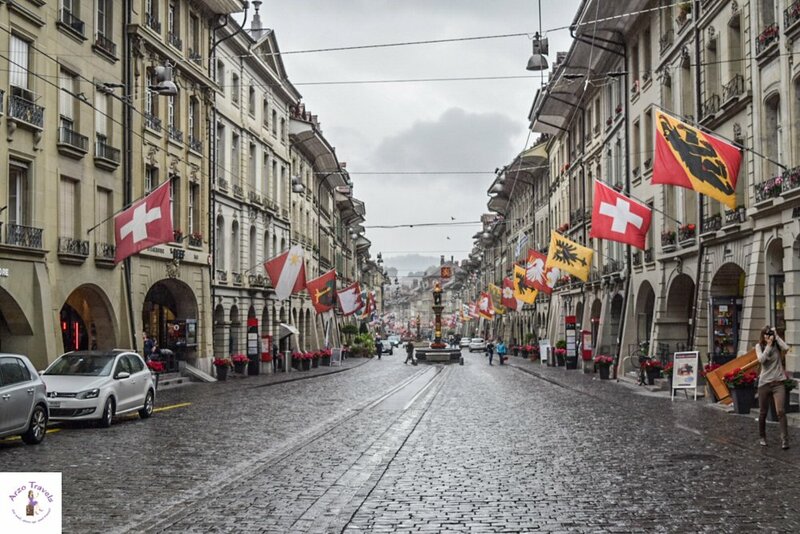 Switzerland in general, and Bern, in particular, are pretty safe places and I can only recommend traveling to Switzerland as a female traveler. 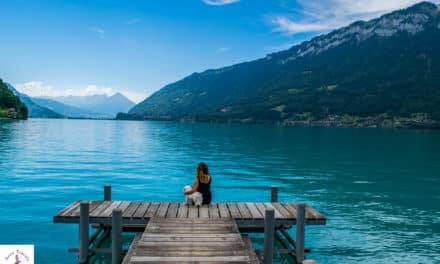 TIP: As probably everyone knows, Switzerland is sooooo expensive, and so I put all my favorite saving money tips in Switzerland in one post. One of the first things I do when I travel is to find great spots which offer the best views over a city/place. Bern has quite some places that give you stunning views and here are my favorite places for the best views over Bern. Let´s start with the best places to see in Bern. One of the best places to visit in Bern is definitely the Rosengarten (Rose Garden and the name does not promise too much) which is at the end (or beginning?) of the old town in Bern and close to the Bear Park (more on that later). There are about 250 varieties of roses, but I admit I am all about the view. I saw many people reading or chilling with friends and families and I think, a good place to visit in Bern with families. When I travel solo, I don’t really do the “picnic” thing, but I guess, this is a great spot to enjoy your outdoor picnics. Getting up there (probably 5 minutes walk) rewarded me with beautiful views over Bern and I also got the chance to rest in the park. There are some great spots to get good views on Bern. A view from Rosengarten, the Gurten – the house mountain of Bern – or from the Münster Cathedral are probably the best locations to overlook Bern. The Gurten (above 860 meters above sea level) another great place to visit in Bern. It is a bit offsite the city center so I would actually recommend starting or ending a Bern trip visiting the Gurten. Good news, if you stay at an official hotel, Airbnb, B&B, etc. you will get a Bern ticket which allows you to use public transport for free which include the cable funicular ride up to the Gurten). If you are a hiker, this is one of the smaller popular mountain peaks you can hike up to. There is also a viewing tower for even better views. If you are with kids, they most likely will enjoy the playground area or the toboggan run up there. In the summer months you can bring your own food and make your BBQ – or have lunch/dinner in one of the restaurants. Tip: Do not try to go there by car. I did and it was a bad choice because I could not find any parking space close by (at least not on a sunny day). Hiking up or riding your bicycle is also possible. 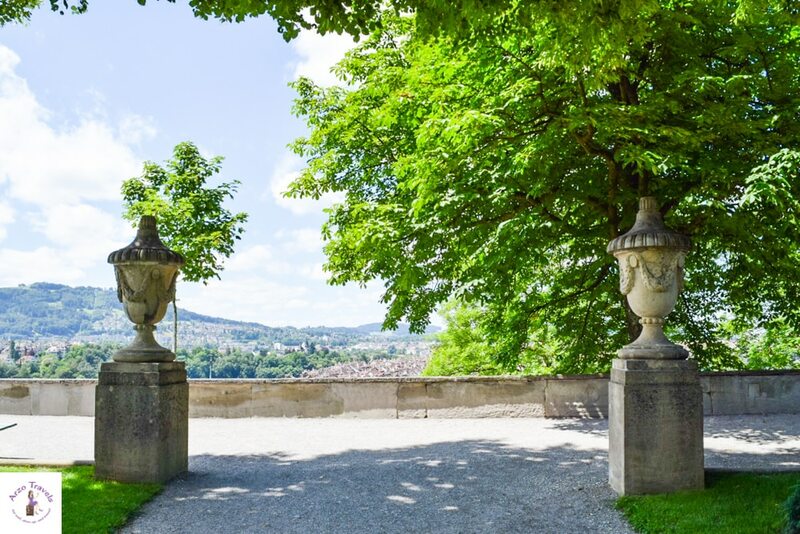 Looking for more beautiful places in Bern? Here are more places to go in Bern in one day. Another top thing to do in Bern is to visit the Münster Platform. The views from the Münster Platform are great, and it is also worth to check out the Cathedral (since I was with a dog I had to skip that part), but it is probably one of the best places to see in Bern. It is not only about the view though (though, who would not enjoy the views of the Aare River or the Alps?) – you have the option to dine, picnic, relax, stroll the park area or or or. This place is in particular popular in the summer months as there are many trees offering shady places to you. The Bären Park in Bern (Bear Park) is just a few minutes walk from the Rosengarten and a definitely one of the best places to see in Bern – and surely a surprising sight. 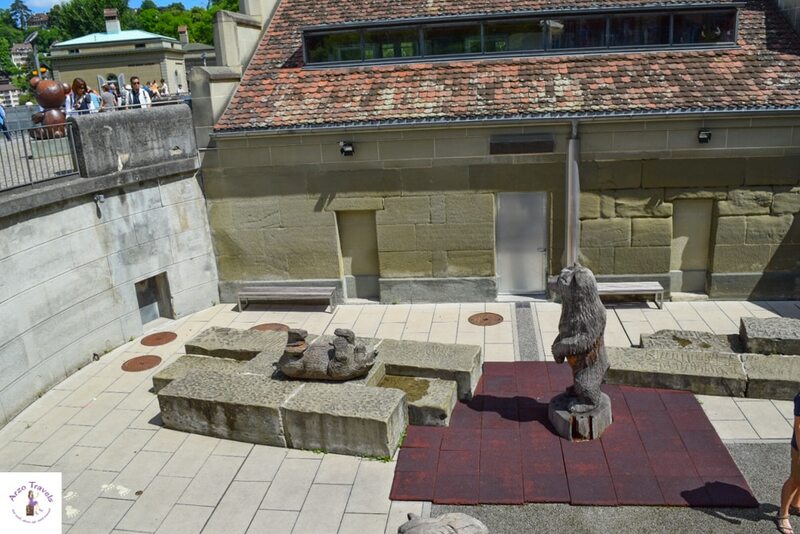 Though there are many more great Bern points of interest, this Bern attraction is surely unique – and since it does not feel like visiting a zoo it is also a good place to visit for those hesitating visiting zoos. A friend told me a couple of years ago about some bears living in the city center of Bern (that is where according to some myths Bern, German=Bär, has got its name from). I could not believe it and was very curious about finding out. It is one of the best places to visit in Bern with kids. 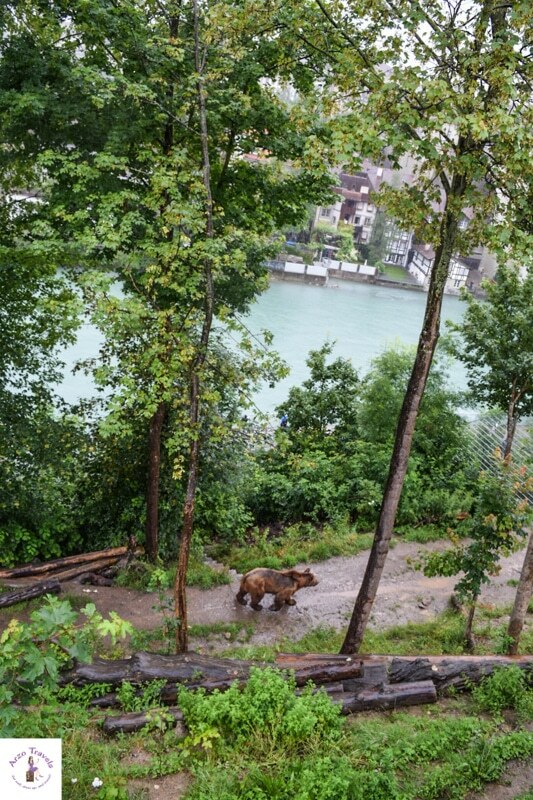 The bears “moved“ a couple of years and they do not live where they used to live anymore – now they live next to the river with their own “pool” (located on the Aarenhang). There is also a little place with information about the bears and fake bears are displayed (but the bear family is seriously real). Personally, I think the Aare river is the most beautiful river in Switzerland. It is just pretty with its unique color, and strolling along and enjoying these views was fun and as mentioned – the people in Ben take it slowly, and so blend in and do the same. 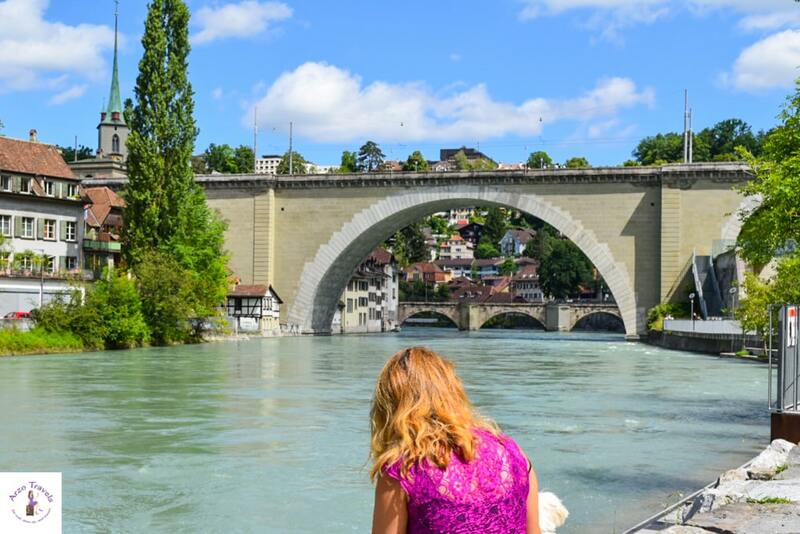 The total length of the Aare river is almost 300 km – so you will only get a glimpse in Bern. If you are looking for more ideas on “What to do in Bern?” then this is one of the most interesting places in Bern. The old town in Bern is close by other important Bern sights and, interestingly, the whole old town has become a UNESCO World Heritage site in 1983. It is easy to walk along and I normally know only old towns with small and narrow streets – I was so surprised to see that Bern´s old town is not like this at all. I recommend strolling through the streets and discover beautiful old and colorful houses (with flower pots everywhere). But not only the amount of flower pots surprised me. I was also surprised to see little cafes/shops in the basics – so watch out for those shops and if you stay a bit longer you might be able to check one out as well. Here are many Bern attractions. 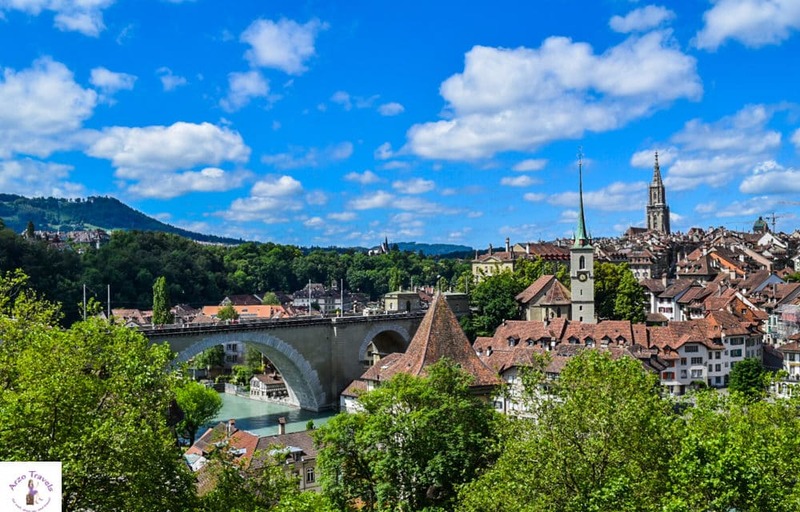 Tip: Do not forget to visit the Clock Tower (Zytglogge) – probably the most famous sight in Bern, the Town Hall, the Muenster Cathedral and the Parliament. 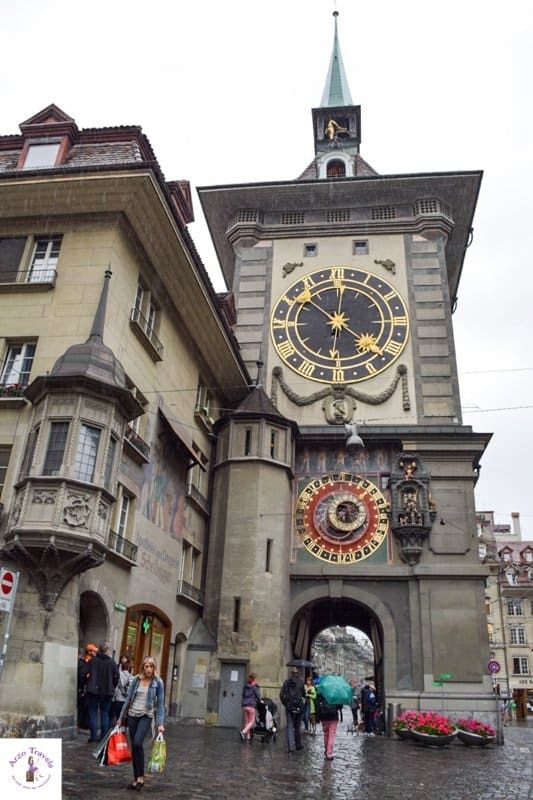 One of the main tourist attraction in Bern is the clock tower which is also located in the old town. at 2.30 pm (reservations in advance are recommended) and cost around $20 for adults. Taking the left or right stairs? it says a lot about you – according to a myth the decision tells a lot about your personality. Here at Town Hall is where the cantonal and city parliaments take place (Bern is also the capital of the beautiful. beautiful canton “Bernese Oberland” which include areas like Grindelwald, Interlaken, Lake Thun, and Lake Brienz). According to my research, you can do a tour of the Town Hall which was built in the beginning of the 15th century – which is also free but there are only a few every year. You can also do paid tours at other times. The Bern Münster Cathedral (or Muenster Cathedral) is the largest and the most important late gothic building in Switzerland and attracts a lot of people in Bern – it is open to the public (including the steeple). As I was with my dog, I had to pass going inside. And I had to pass on climbing the 312 steps to enjoy, as I assume, amazing views over the city. For a fee of around $5 you can experience the view (and even see the famous Swiss Skyline- meaning the three mountains of Eiger, Mönch, and Jungfrau)- and the church is free (of course). 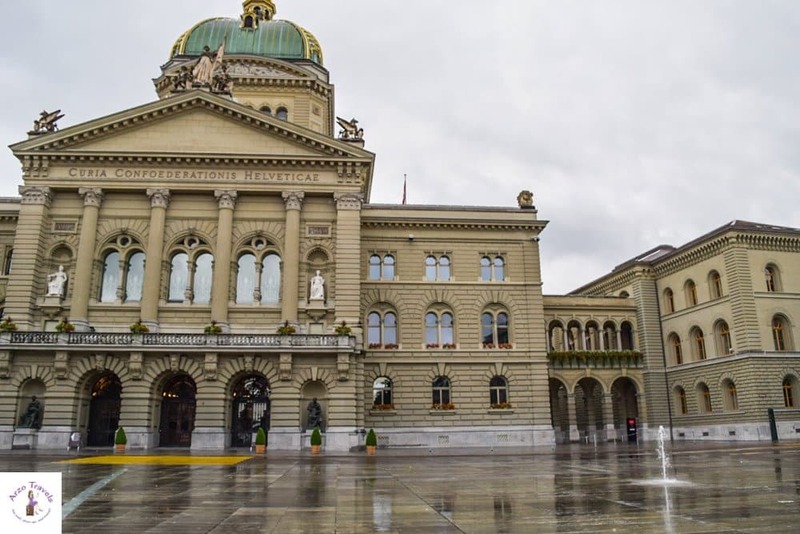 Bern is also the capital of Switzerland and so the Parliament Building houses the Swiss Parliament. 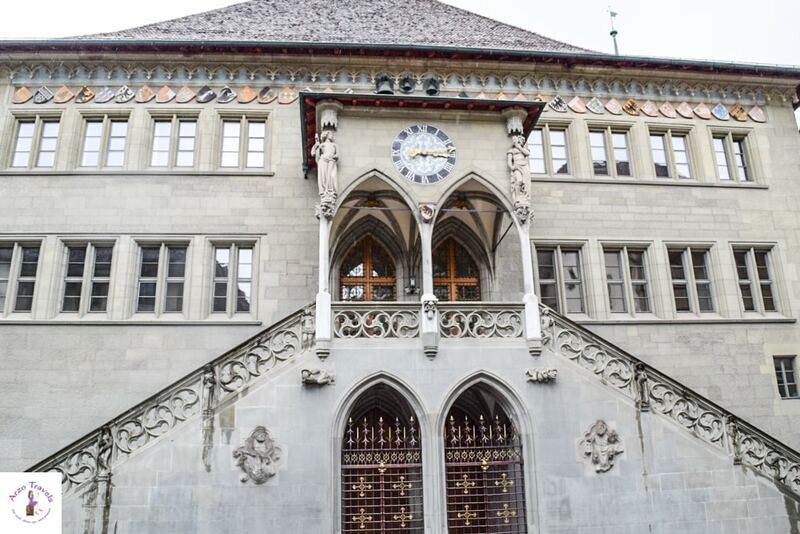 While I did not make it inside the building, I think, the parliament is also a must-see in Bern – whether you just look at it from the outside or do a tour. Tours only place where there are no sessions and can be booked here. If you like discovering Bern via a tour, you can book your tours here. I mainly use Viator or GetYourGuide and like both, though I nowadays book tours more often via GetYourGuide. 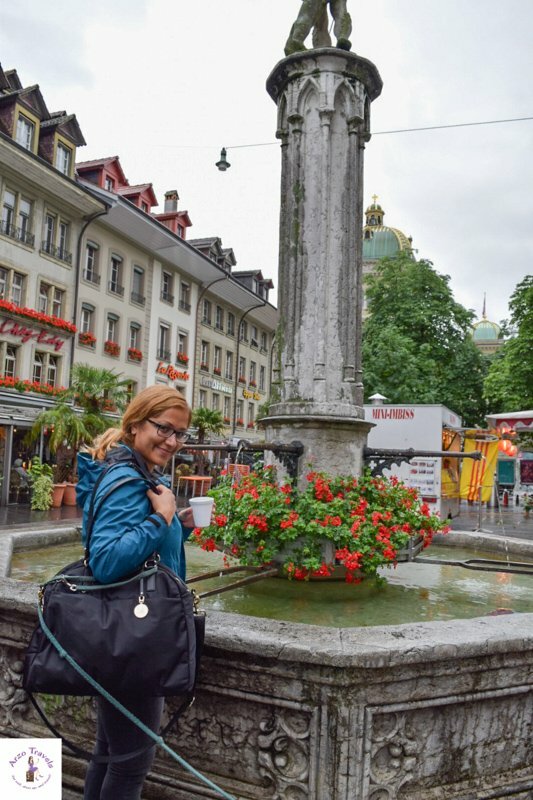 I have picked a few tours that might help you explore the Old Town of Bern. Find out more about a guided tour of the Old Town in Bern. Have some more time left and would like to do more? Then find out about more Bern activities that are fun. Why not swim in the Aare river? If it t is sunny and you have some time on your hands, swimming in the Aare might be the perfect spot to swim. If you take a swim go to Marzili Lido, which is close to the Parliament Building. Okay, tip number 8,9,10 sound super interesting and these are tips I recommend to you though I have not done them myself (traveling with a dog sometimes limits your availabilities) so I would love to do them, what about you? You cannot visit Bern and skip the old town – but why not visit at night and do a night watchman tour through the Old Town? If you are into spooky little stories and like to get some goosebumps you can head to listen to some horror stories while doing a scary tour and learn about the spooky side of Bern. Bern is always a beauty – whether you walk or do a tour with an electric scooter. But honestly, does not it sound more fun with an electric scooter to discover Bern? By the way, this is a lot to put in a one day Bern itinerary. It is doable, but why not extend your stay a little. If you have more time these are things to do in Bern in 2 days actually. Have we missed important sights in Bern that should be on everyone´s Bern itinerary? Let us know and share the most beautiful places in Bern with us! 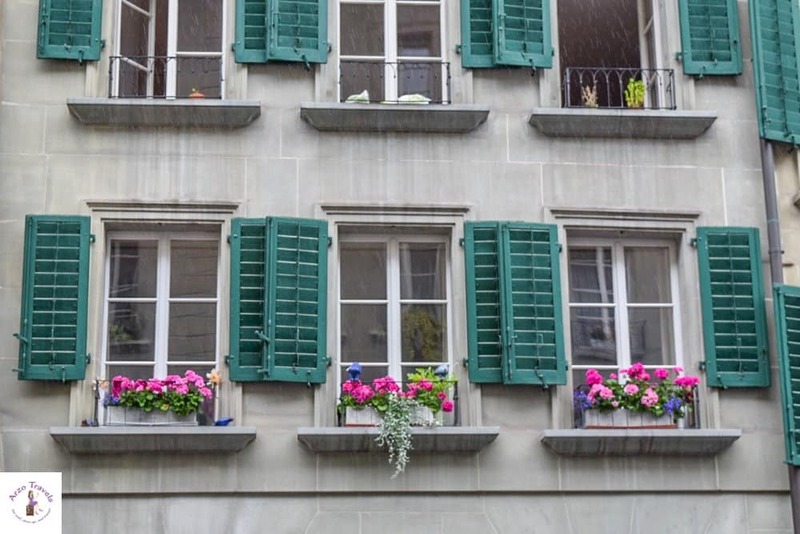 Check Out Rates for Accommodation in Bern. Disclaimer: I was invited by Bern Tourismus, but, as always, all opinions are my own. For more information about Bern check out the website of Bern Tourism Board here. 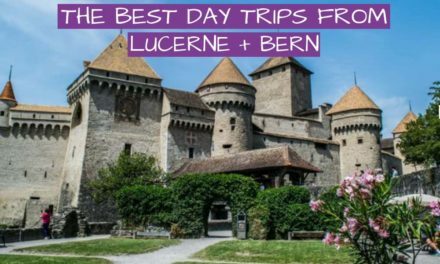 A beautiful short video has been produced by Elaine and Stuart from SomedayTrips which shows the most beautiful spots of Bern – Click here to watch a video of Bern to watch it. 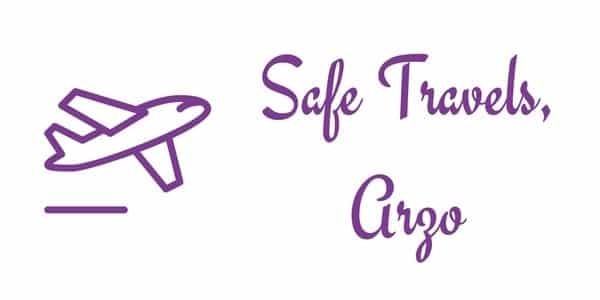 More about travel tips for Switzerland here – you will not find only reviews about vegetarian dining, but also find travel tips for Switzerland and hotels review. Find out more about a business trip to Basel.